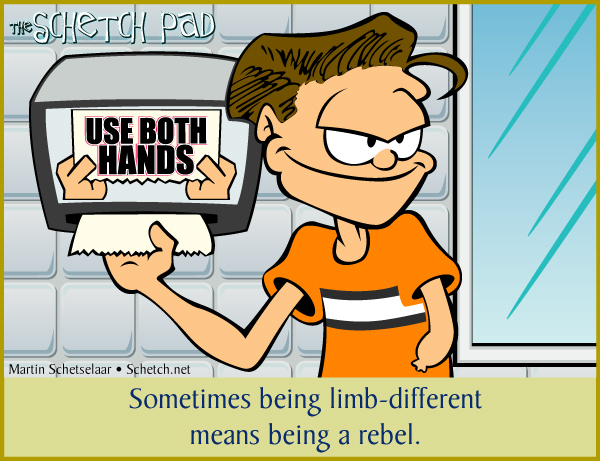 Sometimes, being lop-sided means being a rebel. Sometimes you’ve just got to be in touch with your inner rebel. I’ve got two hands and normally just pull from the middle. if the paper towels are cheap (i.e., the norm), pulling with wet hands (even two) just causes them to tear in little pieces. and then I have to get twice as many because, yuck, wet hands!